Our gourmet lettuce varieties can be continuously grown and harvested throughout the growing season, ensuring a steady supply of crisp, delicious mixed salad. Not so long ago, when people thought about lettuce, they thought exclusively about iceberg lettuce, because it used to be the only kind available. Not that we have anything against iceberg lettuce, we are glad there are so many more interesting (and nutritious) varieties commonly available these days. Our lettuce seed offerings represent an interesting mix of flavors, texture and appearance. 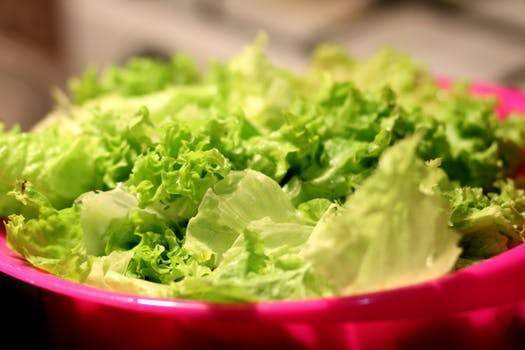 Lettuce —Lactuca Sativa—is an annual vegetable and member of the daisy or (Asteraceae or Compositae) family. Other members of this very large family include chamomile, artichokes, tarragon and dandelions. Lettuce is made up largely of water (95%) which is why it can be frozen or canned and must be eaten fresh. Be sure not to store your lettuce with certain fruit like apples or bananas as they emit a gas called ethylene which accelerates ripening—not a desirable effect for lettuce. Historical documents reveal lettuce was cultivated in ancient Egypt 6000 years ago, later spreading to Europe and other parts of the world. Lettuce was introduced to America by Christopher Columbus during his second trip to the New World in 1494. China currently leads the world in the production of lettuce. Almost half of all lettuce eaten today is grown by the Chinese. For maximum production, plant seeds indoors in late winter/early spring four-six weeks before last anticipated frost AND direct sow outside in the garden three weeks before the last frost. Lettuce seedlings like cool temperatures and can even tolerate a light frost (protect them from unexpected, heavy frosts). Plant again every 2-3 weeks after that for continuous harvest. In zone 8 and warmer, plant in late summer for fall harvest or grow it all winter long in a cold frame or row cover. Add mulch as seedlings develop to retain moisture and discourage weeds. Weed regularly to eliminate any competition for water or nutrients. The strong summer sun with its high afternoon temperatures will cause lettuce to bolt (flowering at the end of its life cycle in order to produce seeds; this makes the lettuce bitter and unpalatable). Unlike most vegetables, leaf lettuce can be continually harvested—and, indeed, is delicious young—any time after the true leaves appear. Lettuce leaves are sweeter when they’re young, becoming bitter as the plants mature and start to set seed (through flowering). To harvest leaf lettuce, pull off the outer leaves, leaving the center of the plant to continue growing. To harvest a full head of a variety like romaine, cut it off at the soil line. Harvesting in the morning is best when leaves are moist and crisp. Since lettuce is made up of mostly water, it doesn’t last long after harvest so should be consumed quickly. Once lettuce plants start to bolt, pull them up and start over by planting new seeds (when it’s cooler). Like most vegetables, lettuce is low in calories and high in fiber. It’s a great source of fiber, vitamins and minerals.